When we wrapped up our reviews of Joffrey's Disney blend line a couple of months back it was a bittersweet cup. We felt that there were so many other offerings that could make their way to the brew at home arena. 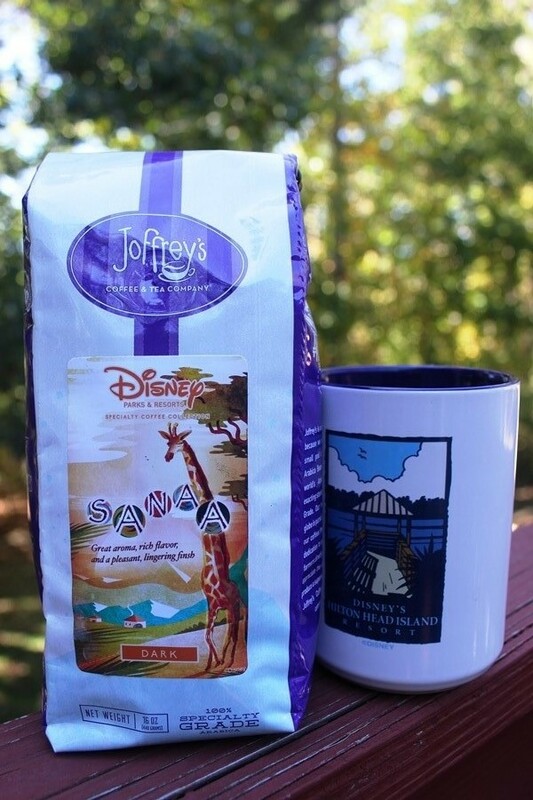 Luckily for us, Joffrey's and Disney thought so too, and recently released the Sanaa roast! After a couple of taste testing sessions, here is what our resident coffee aficionado, Aileen Sheehan-Wilson, thought of the new offering. Sanaa (Dark) – There is no more amazing site than the splendor of exotic animals roaming the Sunset Savanna from the Sanaa restaurant in Disney's Animal Kingdom(R) Resort. And while savoring your meal you can sip on the Sanna Specialty Coffee, a rich blend of Straight Origin Kenya AA and East African Beans roasted to a medium level. Offering a bright acidity with great aroma and a dry winey after taste. Let it bring out the wild in you. We have another dark roast, making it the eighth dark roast out of sixteen possible Disney blends. This was one of the smoothest dark roast of the entire Joffery’s Disney line, but that smoothness definitely didn’t come at the expense of the blend’s character. I enjoyed it a great deal and agreed with tasting notes, this cup had a great acidity and aroma. I didn’t catch a dry winey aftertaste but you may when you make it at home. There was no smoky undertone or bitter aftertaste that you might expect from a dark roast, which should make those of you who hate bitter coffee rejoice. I believe this coffee would pair well with the offerings at Sanna, but I also believe it would be a great morning or after dinner option in your home. This is a coffee that may very well make it into my home rotation.